Demo - See how HOVER works before you sign up. Warm description for this section and why i should pick one of these. 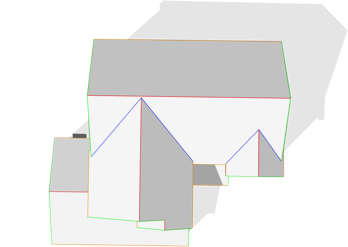 Roof measurements in HOVER include square footage, pitch, and key line segments, for the full roof and by each roof facet. You can use these details to create a reliable estimate quickly. Use the drop down menu on this screen to see the type of detail provided. We will also provide you with the square footage measurements for siding, windows, doors, brick, stone, and all other material types. Plus specific line segments for corners, trims, soffit, fascia and more. Here you can see a few examples. Use the drop down menu to rotate the house and view the different measurements. If you are looking for a particular measurement, as the space between windows, gable or gutter downspouts, you can use the M Tool. 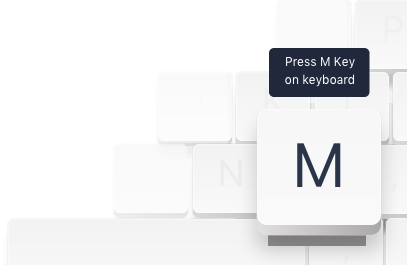 Click ‘M’ on your keyboard. Drag and connect the two blue dots to see the measurement in this example. For every property that you capture, you will receive a detailed PDF report, including all the exterior measurements, that can be handy on the job site and makes it easier to create an accurate quote. To see the level of information included, download the example PDF for this model. Visualize home renovations within just a few clicks – no masking required. Show homeowners exactly what their home could look like with different products and colors, and help them make design decisions with confidence. Eliminate any guesswork around the project within seconds and stand out from competitors who use nothing more than a few product samples and a quote. Engage homeowners by collaborating on designs and close deals faster. Show homeowners how premium products and additional work – such as shakes in a gable or stone on the front wall – can add to their home’s curb value. Sell bigger deals and ultimately, grow your revenue. Go ahead, and try the drop-down menus below the 3D model to see how you can quickly build any home exactly the way your customers want. During this quick demo, you have experienced only a fraction of what HOVER offers. Sign up today and take HOVER for a spin. Your first property is on us so you can try it risk-free! For every property that you capture, you will receive a detailed PDF, including all the exterior measurements, that can be handy on the job site and makes it easier to create an accurate quote. Use HOVER’s design features to show homeowners what their project will look like and keep them engaged throughout the sales process. Expedite your sales cycle by helping them visualize the result. In addition to a new roof, be sure to show homeowners how new siding or windows could enhance the look of their home. Increase your job size and ultimately grow your revenue. During this quick demo, you have experienced a fraction of what HOVER offers. Download the app today and take HOVER for a spin. To get you going, we offer a 30-day trial and $125 of credit.